Although one first may think of the Harmony Brigade movement as primarily a quartetter's dream weekend (which it is!) many Brigades take very seriously the outreach and service components. 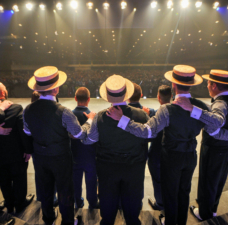 Ted Blank of the New England Harmony Brigade shares its continuing success story built over several years. 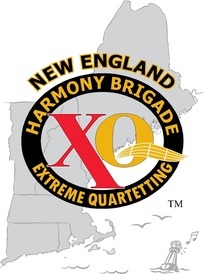 The New England Harmony Brigade was founded in 2012 to provide dedicated quartetters the opportunity to sing together for a weekend where everyone knows all the same music. 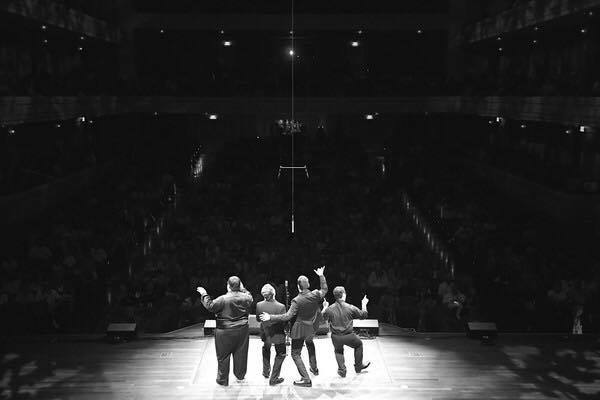 We are proud to have just completed our fifth annual weekend of mix-and-match quartetting and non-stop singing with 86 well-prepared men singing in countless combinations. You can see some pictures from our latest annual weekend at our website, www.nehb.net . However, as much as we love our weekends of harmonizing I wanted to convey to you our deep sense of pride and satisfaction over the relationship we have developed with the music department and administration of the nearby Algonquin Regional High School in Northboro, Massachusetts. The ongoing relationship with ARHS has been nurtured and expanded each year by our own Jeff Forman who has engaged with the school in a way that we never could have dreamed of. 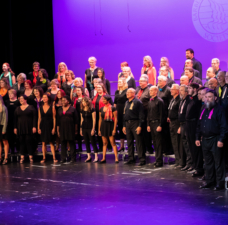 Each year our Saturday evening public show is held in their auditorium, with three ARHS student singing ensembles opening the show and then joining us on stage for the big finale number. In addition, every year Jeff brings our headliner quartets to the school for the entire day on the Friday of our brigade weekend. 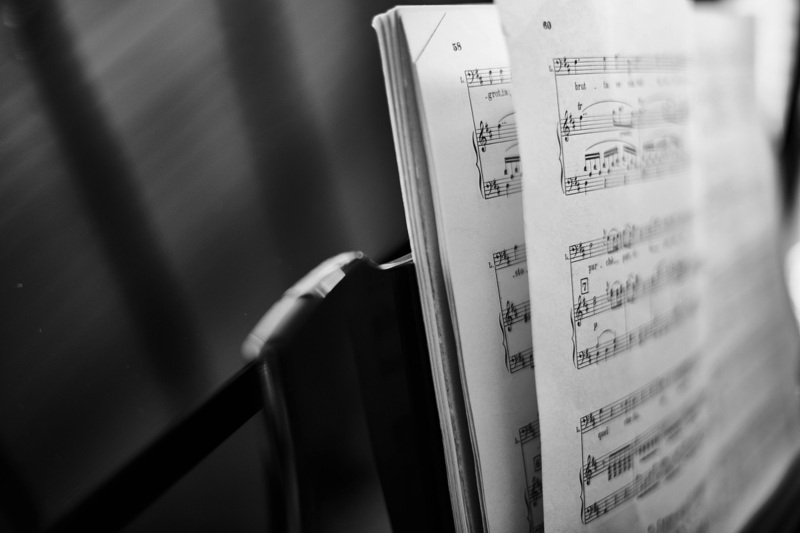 These quartets offer Master Classes to four student singing groups, including coaching and teaching. Visiting quartets have included Men in Black (twice), The Groove Barbers (with Rockapella founding member Sean Altman), 2006 Harmony Incorporated champions Boston Accent, and past NED champion quartets Downtown Crossing and Timepiece. 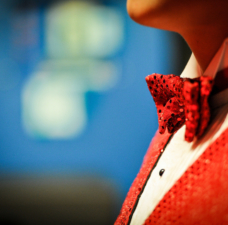 We also pay for extra copies of barbershop songs and learning tracks which we donate to the school each year so they can sing our finale number with us, and then include Barbershop repertoire in their ongoing music curriculum. 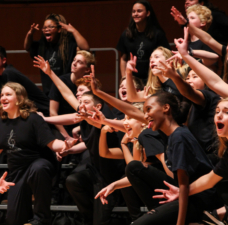 Because we so greatly want to encourage youth to stay involved in music all of their lives, at the end of our show each year we call the music teacher up to the stage and present her with a donation directly to the school music program. This has averaged just under $1000 per year to do with as they wish. As you'll see below, Chorus Music Teacher Kathrine Waters informs us that the money has been accumulated and used to retire a very old and un-tunable piano and purchase a wonderful new Kawai hybrid piano for the school music program. They are beyond thrilled with what they will be able to do with this new instrument. The words of ARHS Principal Tom Mead give you an idea of the value that the school places on the relationship that Jeff and NEHB have developed with them. 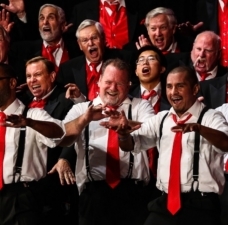 [We] are so grateful for the support from the New England Harmony Brigade. Our choral students have enjoyed the opportunity to listen and sing together with members of the brigade on the Friday of their visit, and then to perform with them at the Saturday Night show. NEHB has been so gracious to do impromptu a capella mini-concerts in our Rotunda, Main Office, and Cafeteria to the great surprise and thrill of students and staff. Your generous sharing of proceeds has enabled us to retire our venerable Steinway Piano, and purchase a shiny new Kawai Hybrid. Amy Collins and Kathrine Waters are over the moon with this new addition to the music program at Algonquin, and judging by the immense response to my tweet, so is the Algonquin community!